When looking to gain the advantage of economies of scale and skill, achieve the benefit of digitalization, reap the value of normalized data and the power of integration, technology only represents one part of the solution. It's about people, operational transformation and the value in leveraging the best resource to drive the best outcome for the patient. 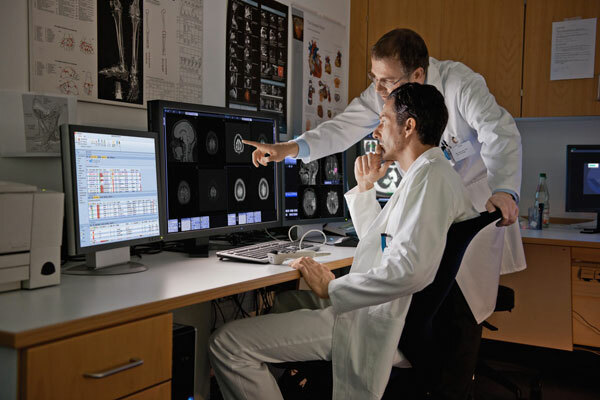 The Siemens Healthineers, Medicalis Imaging Service Line solutions help meet the specific goals by working with the local team to turn data into actionable insight and achieve the set objectives. Solving for Today, Built for Tomorrow! Visit us at HIMSS19 booth#3759. Medicalis Imaging Service Line Solutions are available in the U.S. only. The products mentioned herein are not commercially available in all countries. Due to regulatory reasons their future availability cannot be guaranteed. Please contact your local Siemens Healthineers organization for further. Information for Healthcare professionals. The Siemens newsletter and websites, including but not limited to usa.siemens.com/healthineers and its affiliated sites, provide an online resource for healthcare professionals.